We offer fast and reliable service on commercial appliances in Los Angeles, California. There are many outstanding commercial appliances available for business. Our trained techs will respond immediately to fix them all. A broken oven, freezer or stove is never a good thing for business. We understand how much stress that puts you under. Our experts will get there as fast as possible to fix your commercial appliance. You can count on our crew to have the skills and experience you need. Call Magic Appliance Repair Los Angeles for awesome service at a reasonable rate. When you call our company, you get credible commercial appliance service. Our experienced specialists can service any commercial brand, make or model. We have accumulated plenty of expertise working on a variety of appliances. Our techs are honest and straight to the point. We will answer any questions you have. Problems with your units are detected quickly. We don’t beat around the bush. Our pros are trained to get the job done right. You can trust our appliance service technician to provide quality results fast. If you need same day commercial appliance repair, give us a call. Our technicians will respond with urgency to fix your stoves, ovens or freezers. We are devoted to keeping our vans completely stocked with spare parts. Having the right part on hand boosts the service we provide. We don’t want to see your appliance down a moment longer than it has to be. Time is money. We will use all of our experience, training, and skills to fix your problem fast. 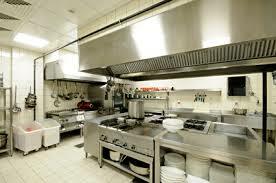 You can call us to fix all commercial kitchen appliances. You never know for sure when you will need work on those modern Los Angeles commercial appliances. We suggest that you keep our number close to the phone. Contact us immediately and we will come out right away. We promise to provide you with the best appliance repair in Los Angeles.